Kicking off the first day is a pair of masterclass Opening Keynote speakers; David Hearn, Regional Head of Strategy, dentsu X Asia Pacific and Hermawan Kartajaya, Co-Founder of Asia Marketing Federation, President of Indonesia Council for Small Business, and President of ACSB. 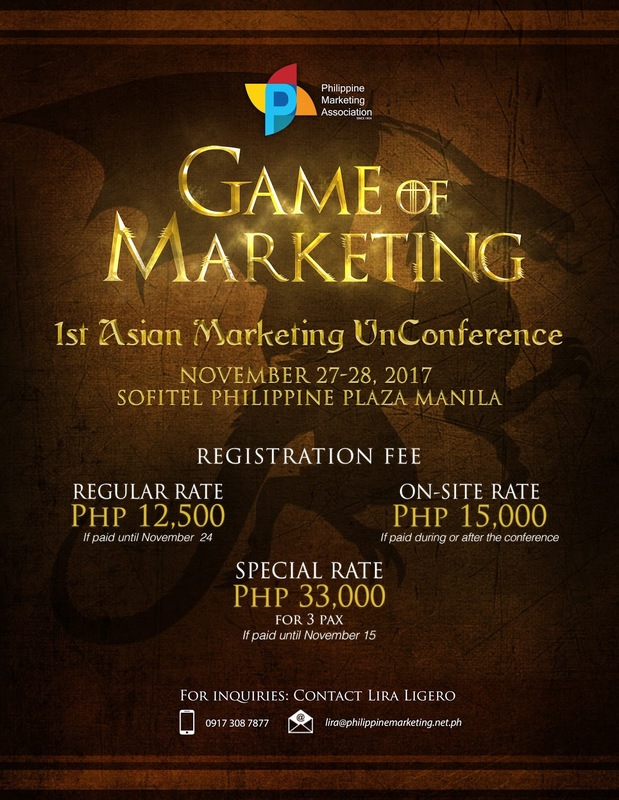 Adding to this line up of Marketing Greats is Merlee Jayme, Chairmom/Chief Creative Officer of Dentsu Jayme Syfu who will introduce to you the Three Dragons of Creativity, Meng Liu, Head of Asia and Oceania Networks of United Nations Global Compact will discuss Making Global Goals Local Business. Donald Lim, Over-all Chairman of the 48th PMA National Marketing Conference, closes the UnConference as the Closing Keynote speaker. This UnConference is supported by our Media Partners’ Philippine Daily Inquirer, Business World, Philippine Star, Manila Bulletin, Manila Times, and WhenInManila.Com. 0997-7840532 or e-mail her at lira@philippinemarketing.net.ph for inquiries. Note: Speakers’ topics are subject to change.